Wedding planning can come with some pretty tough decisions: Where should we get married? What colors should we decorate with? What should we wear? One decision you may be at a crossroads with is whether or not to use a friend as a vendor for your wedding. Whether it be photography, florist, planning, or other services, we think there are a few things you should consider before hiring a friend to do your wedding. Is my friend a professional in the service I want to hire them for? Do I want to hire my friend because I think they’ll give me a discount or because their work resonates with me? Would I rather have my friend enjoying my wedding day with me or working? 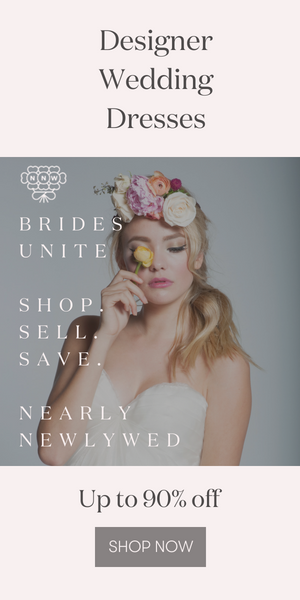 Looking for more tips for hiring your wedding vendors? Check out these red flags to watch out for when hiring your wedding vendors and everything you need to know about hiring your wedding vendors. Great post. Thanks for sharing such a useful tips. Love this! I think the part about “do I want my friend enjoying my wedding day with me or working?” is the best. I wanted all of my friends with me sipping champagne and enjoying themselves on the wedding day, not working! Definitely passing this on to my engaged friends! Thanks for sharing such an interesting blog. According to me one should hire a professional Wedding planner rather than depending upon friendship.